Made in Hungary, in 1968. Product of BRG. The BRG M12 and M12/a was a stereo proto type. There was no serial production. According to BRG, the casette recorder was the „future” at that time. So, the fabrication of the tape recorders has finished. The head-constructor of this machine was Marcell Jánosi, and of the electric unit was Csaba Somlai. 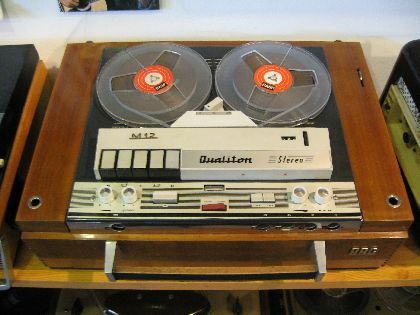 Worthy of to know about Marcell Jánosi: he was the head-constructor of many different type of tape recorders (for example the M8 Calypso, the M11 dual system –open reel and casette recorder, „2 in 1”machine), and casette recorders (for example MK21). In 1973, he has planned and manufactured the first casette floppy disc (3,5") and it’s floppy-driver for computers, in the world! He was a technical genius.